According to local campus police reports, there is a shooter on campus at UW. I am about 1.5 miles away from where they said he is at. I am safe up in my apartment, will update as my student friends get me more details. Having worked in IT departments across this campus, specifically at the UW-Law School, I am usually carbon copied on such events and have yet to hear anything. Madison.com has nothing as of yet. Can you provide any additional insight? Was this a student or employee on campus or was this a strong armed robbery of the sort? How recent is this news? Edited OP for the link to university homepage. It was a student friend of mine that received an alert message that posted to facebook. I talked to him and he said not much is known just yet. Only happened a half hour ago. Where on earth did you find that picture? "WiscAlert: Suspect in shots fired at 130 Langdon: Description male black wearing black clothing with a black/white baseball cap, black jacket,dark backpack. Last spotted near westside of Langdon Street. We are asking people to shelter in place as police search area for suspect. " No need to delete it. But glad to hear the news. Weird, police scanner remains active. The all clear they gave was for what sounded like a pretty significant perimeter. Either way, doesn’t sound like shooter wants to harm more people, just wants to get away from whatever they did. Sounds like they are searching for the other suspect. 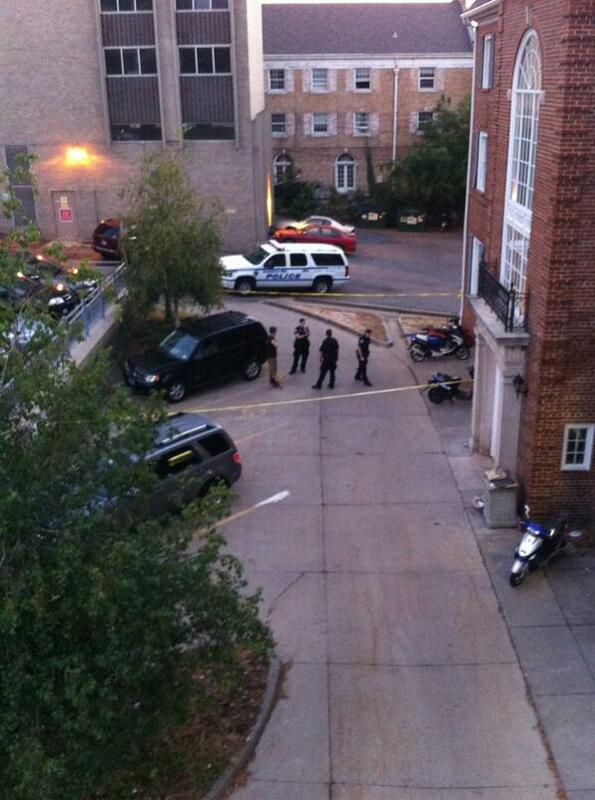 7:50 p.m. UWPD is responding to a report of shots fired at 130 Langdon Street. 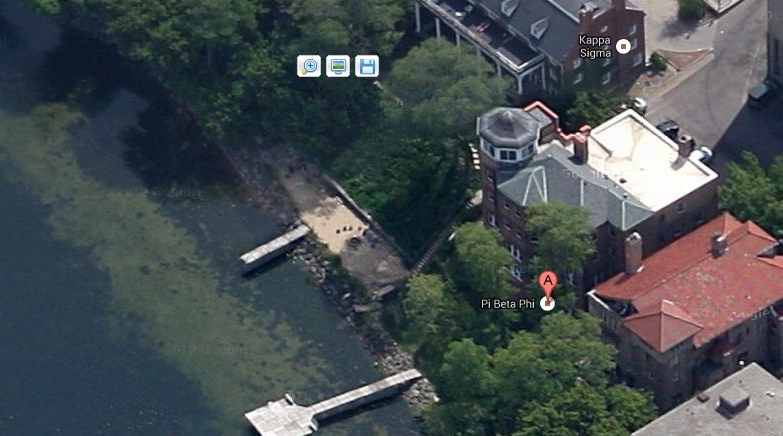 The suspect was last seen heading west on Lakeshore path in the direction of the Lakeshore residence halls. All are asked to shelter in place and stay indoors until the situation is resolved. The situation is not an “active shooter” but a search for a suspect." I wonder where the hoodlums came from. If they’re not locals I’d want to point the finger at that bus stop at Memorial Union. The Badger Depot on W. Washington Ave used to attract so many transients which was a leading theory for the Brittany Zimmerman tragedy. 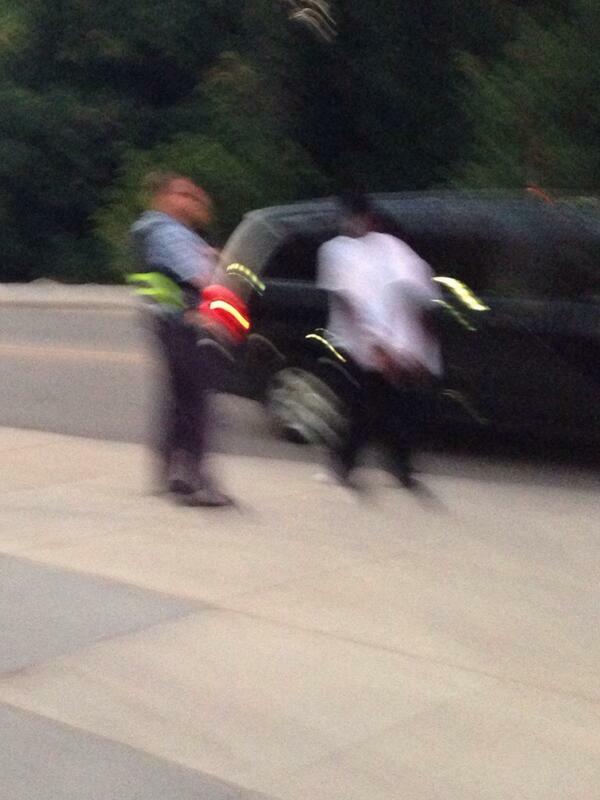 Just before 9:00 p.m., FOX6 News learned two subjects had been detained. FOX6 News has learned from Madison police that this was an armed robbery attempt. Police say the suspect attempted to rob a 19-year-old male victim, the victim chased the suspect, and the suspect fired at least one round. No one was injured. Police were also said to be searching the area of the nearby Madison College Wednesday evening. A witness told police a suspect may have been in a building there, but the building was searched and the suspect was not found. A drug deal that turned into a robbery Wednesday night morphed into a foot chase near the UW-Madison campus, police reported, with one of the suspects being chased firing a shot that prompted a lockdown at both UW-Madison and Madison College. The two suspects in the robbery, Ramar Brown and Donte Hunter, both 17 and from Madison, were taken into custody and were tentatively being charged with robbery, Madison Police Department spokesman Joel DeSpain told Madison.com. According to DeSpain, the suspects met up with a 19-year-old Madison man in the 100 block of West Gilman Street at about 6:20 p.m. The man’s backpack, keys and wallet were reportedly taken, and the suspects fled the scene. “Two of the man’s friends started chasing after them,” DeSpain said. The two suspects split up, with the two friends continuing to chase after the suspect with the handgun, heading over to Langdon Street. “They thought the gun was a fake gun, but when the shot was fired, they realized it was a real gun and they stopped in their tracks,” DeSpain said. Neither of the chasers was hurt, and there was no report of property damage. The suspect kept running, so a Dane County Sheriff’s Office police dog was brought to the scene to track him. The suspect stayed ahead of the police and kept running, this time in and out of the waters of Lake Mendota near Memorial Union. “UW-Madison police joined in the pursuit and finally found him up on Observatory Drive,” DeSpain said. The other suspect was found near the intersection of Gilman Street and Henry Street, thanks to plenty of witnesses helping police. “A number of citizens, including UW-Madison students, were very helpful,” DeSpain said. The likely shooter is the mugshot on the right in the below photo. This is not the first time Ramar Brown has been in trouble this year. He was arrested in March in connection with a “gang” fueled fight at Madison La Follete HS. The other individual, Donte Brown (not pictured) is from Madison Memorial HS. Truly awful. I hope you petition for more gun control! This was from a girl that belongs to said sorority, and I guess this was what went down.